Oak Grove is a small city situated in Southwestern Kentucky along the border of Tennessee. It is a part of Christian County and the Clarksville Metro Area. Being just minutes away from such thriving locations as Fort Campbell, St. Louis and Nashville, Oak Grove offers an abundance of employment possibilities and great attractions. Oak Grove was founded in 1828, at which time it was mainly a farming community. It was named after a lovely grove of oak trees that surrounded the small town's country store and post office. Oak Grove saw a bit of growth when the railroad ran through it in 1884. However, it saw the most growth in 1941 when nearby Fort Campbell was established. 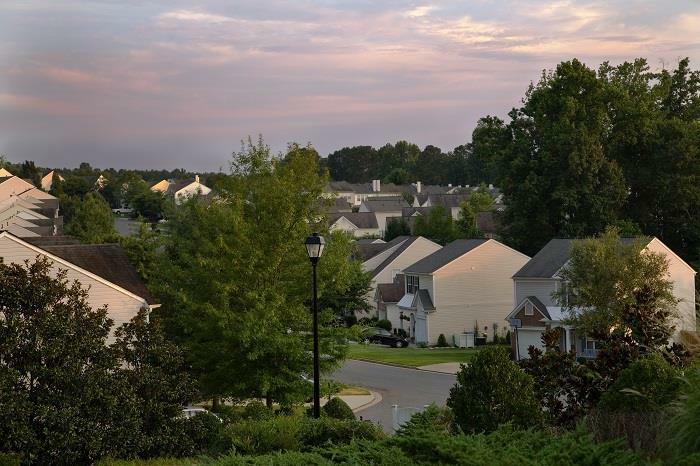 When you become an Oak Grove home buyer, you will gain access to several lovely parks located within the area. Perhaps the most popular park near Oak Grove KY homes is War Memorial Park, which can be found on Walter Garrett Lane. While visiting this park, you can enjoy such amenities as a children's playground, a wooded walking trail, covered picnic tables and a disc golf course. Located on Jerry Claybourne Road, you will find Tie Breaker Park and Aquatic Center. Amenities of this park include five softball fields, volleyball courts, picnic shelters, a paved walking trail, a playground, horseshoe pits and their new fun aquatic center. Other parks near Oak Grove properties are Debow Park and Recreation Complex, Ruff Park, Westside Park, and Joe Mumford Park. Finding something fun to do in your spare time will not be hard if you become an Oak Grove home buyer. Some great family friendly attractions near Oak Grove homes include Fort Campbell Riding Stables, Maggie's Jungle Golf and Jungle Run, Kentucky Shores Family Fun Center, and Rollerdome Fun Plex. Oak Grove is also home to numerous historical attractions, and some of the more popular ones are Don F. Pratt Memorial Museum, the Jefferson Davis Monument, Wings of Liberty Military Museum and the Oak Grove School House. If you enjoy nature, you will want to be sure and visit such locations as Land Between the Lakes, Dunbar Cave and Kentucky Lake. Do you like attending special events such as parades, art exhibits or festivals? If you do, you will be pleased to know that there are many special events held near real estate in Oak Grove. A popular event is the Annual Spring Into Summer Festival, which is held in May. Highlights of the Spring Into Summer Festival include live entertainment, carnival rides, tasty food and a spectacular fireworks demonstration. Another terrific event that takes place near Oak Grove real estate is the city's Annual Butterfly Festival. This event is held in September and features arts and crafts for the kids, a butterfly garden tour, fun stage shows, pony and train rides, and face painting. Other events that are held just minutes away from Oak Grove homes for sale are Hopkinsville's Annual Veterans' Day Parade and their yearly Christmas Parade. Have you been looking for a place to live in Kentucky where there are plenty of great attractions and beautiful scenery? If you have, you should let Valerie Hunter-Kelly help you locate the perfect home for you and your family. Call Valerie Hunter-Kelly today and make an appointment to see any current homes for sale in Oak Grove!